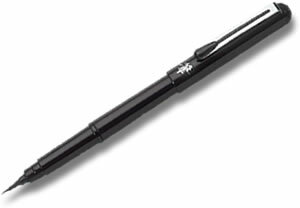 Staedtler Triplus Fineliners are specifically designed for easy drawing and writing. The ergonomic triangular barrel has a textured surface which sits easily in the hand. The superfine, metal-clad tip gives a smooth line, approx. 0.3mm wide. Water based ink means they can be washed out of most textiles and the 48 colours have a drysafe technology which means that uncapped pens will not dry up for several days. Contains 6 Neon Staedtler Triplus Fineliner pens.